If a CEO is the Captain of the ship, then as an Operations Professional, you’re the Captain of the Engine Room that makes the ship move. According to PwC, two thirds of businesses look to cut costs but less than 30% of these businesses will hit their goals. So, how do you create operational efficiency that is sustained over time, without sabotaging your customer’s experience and stifling innovation and growth for your business? …but most “Operations Management” courses don’t take into account real-life situations and are pretty boring and dry. This course is purely practitioner-based. The answer is pretty clear (I hope…). 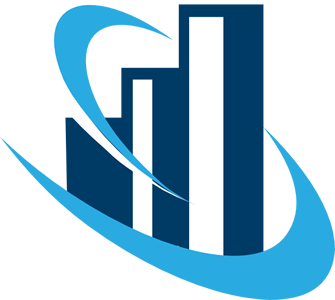 …the price and potential losses can be massive. The hard-earned sales and profits earned are quickly flushed away with poor operational management. You need to lay-off staff (which is an awful job), you start cutting back on benefits and morale of your entire team starts sinking like a block of concrete to the bottom of the ocean. The Economist Intelligence Unit carried out a study where it has been estimated that more than 60% of major corporate strategies are not successfully implemented. This training also helps to bridge that gap. …I know a lot of Universities have Operations Management programmes but one thing I hear repeatedly is that these programmes are too academic and dare I say it, “boring”. Ethan Hathaway’s CBOMS™ programme is developed and taught by experts who are specialists in this field and consulting and working with business executives in operations roles on a daily basis. Because what you read in a text book NEVER translates one-hundred percent into the real world. …imagine having the confidence to take on ANY obstacle head-on, knowing you’ve got the skills and a supporting network of peers to lean on for help whenever you need. Imagine being THE go-to person for both your boss and staff because you’re known to get things done and done right. Unlike any other Manager, you’ll have a certificate AND badge to prove your Operations Management expertise from a source that is trusted by global businesses – which is what REALLY counts. More importantly, it will make you a better Operations Manager. Have peace of mind your Operations Managers have a standardised level of skills and competency. NOTE: Certification is optional. You may take the course without doing the certification exam (however, you will not receive the Certification benefits). The non-certified certificate completion will show that you completed the "Business Operations Management" training course. OPTIONAL: Certification Exam – You must pass the certification exam in order to receive the additional Certified Business Operations Management Specialist (CBOMS)™ designation & certificate. You will still receive a certificate of completion (Business Operations Management Course) for the course whether you complete the exam or not. 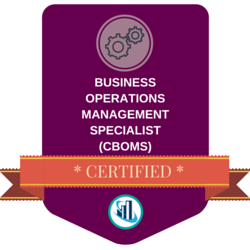 Who should enroll in the Certified Business Operations Management Specialist (CBOMS)™ training course? Digital course notes, slide decks and resources for your future reference. This digital badge designates you as a Certified Business Operations Management Specialist (CBOMS)™, which you may use on business cards, resumes, LinkedIn profiles, website profiles, email signatures and more. In addition to the Certificate of Completion for the course in general, if you successfully pass the Certification exam, you also receive a digital CBOMS™ Certificate to mark your achievement (it will be in printable quality). As part of your successful certification, you also receive a full year's access to the EH Brain Trust Mastermind Membership to help you keep up-to-date on the industry issues. In order to keep your status as a CBOMS™ in good standing, you need to regularly take Continuing Professional Development courses. Over 8 hours of on-demand video lessons so you may watch at your own convenience. ​See below for scheduled Mentor-Access sessions. Please note, by not taking the certification exam, you are not eligible for a badge, membership, nor the CBOMS designation.